24-hour services, including all holidays and weekends. Highly trained, screened, and credentialed healthcare professionals. A cost effective and comforting solution to residing in a hospital, nursing home or assisted living community instead you can reside in the private of your home. 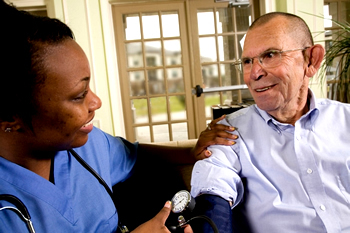 A level of service that meets and exceeds the healthcare industry’s standards. A trusted provider of private duty services that are tailored to meet individual needs. Client- to-caregiver matching service to ensure compatibility. We accept Private Insurance, Medicaid and Private Pay.